A polished and hammer-textured 3mm round bangle. 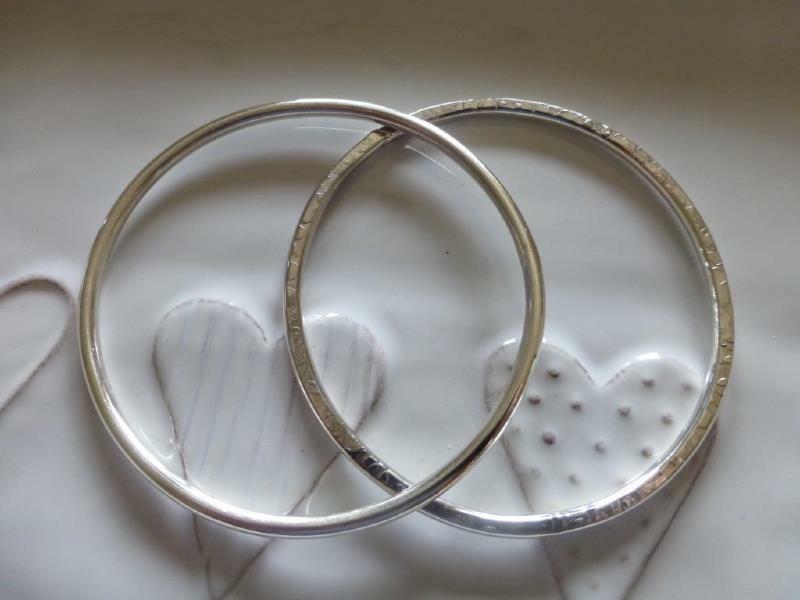 A similar bangle is also available with a smooth and polished surface, as illustrated in this photograph. This bangle is hallmarked by the London Assay office and includes my sponsors mark. It weighs approximately 14g.